It’s gonna happen. You are going to screw up. You will make an error. As a matter of fact, you will make hundreds of errors in your lifetime. What you do next is the most important thing. Although it’s impossible to list all of the types of errors dentists make (I know–comforting from a patient’s perspective), here is a list of common dental errors (and guidance for what you should do after making them). Apologize to the patient. Sometimes you will not know what happened and sometimes you will have a good guess at what happened. Tell the patient you are not certain what happened–which isn’t fictitious; it’s hard to be 100% certain about what happened. Sometimes the room temperature can effect our materials. Explain that errors do not happen often. Retrace your steps and try again. Read the directions again if you did it from memory last time. Call your lab or sales rep. and inquire about cements or products that may have tricky guidelines. Make sure you do not charge the patient for anything. Apologize to the patient again–sincerely. Repetitive errors require a deeper understanding of the procedures being completed. Seek CE courses, a study club, or a coach/mentor. 2. Your team member will forget to complete a step in a certain procedure, and it will result in the failure of the end product. Apologize to the patient. Do all of the things above AND follow up with a quality assurance review with your team member. Check in with them and make sure you know how this mistake occurred. Correct any deficiencies. If this is a continual problem (i.e…occurs more than once or twice), then you may need to re-think the job duties of the certain team member. It’s your ultimate job as the dentist to provide oversight for the day-to-day operations of the practice–particularly if you are the practice owner. Consider the dentist in Oklahoma that was accused of not sterilizing his instruments properly. All dentists know this is a delegated task to a team member. That does not mean dentists get to ignore the operation completely. Use checklists to ensure important tasks are being completed on a daily, weekly, monthly and quarterly basis. Oh, and check the checklists! Apologize to the patient again. With instances like the Oklahoma situation, an apology is hardly enough. It is my belief that a grave situation like this is rare. Up to date medical malpractice insurance is essential. However, with preparedness and enough oversight, hopefully the insurance will never have to be utilized. 3. You will accuse your team member of wrongdoings that were not wrong. In other words, it will be your fault, not someone else’s fault that a problem occurred. When you discover the error was yours, admit it. Apologize to your team member for jumping the gun. Ignoring the facts is like burying your head in the sand, and it makes others think you are too good, too arrogant, or too inconsiderate to say you are sorry. Although we want to be perfect, we are not, and that’s o.k. Admit it. Reflect on the situation and figure out why you jumped the gun and why you accused someone of doing things incorrectly. Apologize again. 4. You will buy a piece of equipment that will sit in your closet or basement. It’s easy to get all revved up about a new piece of equipment. The sales people make it sound irresistible. I flew to Gordon Christensen’s class in Utah to learn about mini-implants. I ended up purchasing my kit there and have never placed a single mini-implant. The course was awesome, and I would recommend many of Dr. Christensen’s courses. I simply made a different transition than initially planned, and I have never placed a mini-implant. (please someone offer to buy these things from me). Do I wish I had thought this through a bit better? Yes! The truth is…many of us have these amazing and wondrous products and instruments that are not getting used. I think a grand dental 0n-line garage sale is in order one day to help us unload these items en mass. This is what is important: Do not do this often. If your “garage sale pile” is taking over your basement or supply room, you should scale back on your impulsiveness and work to plan ahead more extensively. Many product representatives would be glad to let us try a piece of equipment first. Almost all of them want to get their products in our hands, and they want us to be satisfied with our purchases. Ask them if they have a demo or loaner to try out for a day or two. Many will give you free product samples as well. Before you spend thousands or even hundreds of dollars on something new…pause…pause…pause. Do your due diligence on the item(s), compare prices, and try them out before making a major purchase. And, the “specials” offered for shows or one-time offers are not very special if the materials end up sitting in your closet. If you are hesitant, paying an extra couple hundred dollars is worth it if you need the time to make up your mind. Avoid high pressure sales situations. More than likely these type of sales reps are looking out for themselves and are hoping to achieve their goals; they may not have your best interest. 5. You will spend too much time at your office. I can almost guarantee every dentist has heard a spouse, partner, or child complain about the amount of time he or she spends at the office–either mentally or physically. Running a business and taking care of patients is time-consuming. Finding the middle path is difficult. Look for indicators, such as tension in relationships, in either place–home or office. Sometimes, we spend too much time away from the office, and the wheels are nearly falling off the dental office wagon. More often than not, it’s the other way around: the wheels on the marriage or parental wagon are about to fall off. We have a high desire to succeed in our profession. We are indeed high achievers. We often associate a high production bottom line with achievement. We think relationships at home are forever and can mend on their own. This is not true. Time and energy must be spent in both places, not necessarily evenly, but it must balance out in a fairly short time period. Things can’t be left to balance out over a lifetime. Many dentists are seeking employment versus ownership to help them balance out life’s demands. I can understand this. What many do not realize, however, is that no matter what pool dentists dive into, there will always be work related issues to pine over. Ownership brings many issues, but offers a lot of control over the end result–and no need to remind others that dentists like control of things. (Sigh…it’s true). So, if you figure out early enough that there needs to be more balance between work and home life, it’s easier to schedule accordingly if you are the owner. Personally, after I had a child, I decided to work less and made the shift as desired. Contrarily, if you are an employee, you may be stuck working the needed hours with less flexibility. And, you simply get to pine over the work related issues and team members that are provided for you. Someone else is making the human resources decisions. This can be good or bad depending on the work environment. For me, I enjoyed learning how to work more efficiently, still earn a good living, and have the flexibility to make my own schedule and choose my own teammates. With increased efficiency and mindful spending, making scheduling shifts can occur more easily than imagined. This ultimately leads to less complaints about spending too much time at the office (for practice owners), and it leads to a more balanced, desired lifestyle. As for non-practice owners, reduce your debt as soon as possible. Delay big purchases (big houses, fancy cars, extravagant vacations) until your debt load is more manageable. Consider owning a practice to increase your overall autonomy if you decide employment is not desirable. If being an employee dentist is desirable, chip away at your debt, so that you will not conspire ways to work more to pay for more material things. I believe we will find more enjoyment out of our days if we learn to enjoy what we have, appreciate the people we have in our lives, and watch our debt loads. Debt loads keep us chained to our work environments, and often leads to an unbalanced home and office lifestyle. The fear of making mistakes can be overwhelming. Yet, we all make mistakes. I used to think I was the only one making these types of errors. As it turns out, these are pretty common mistakes that occur as we practice, as we learn. I do not make nearly as many errors as I did before. 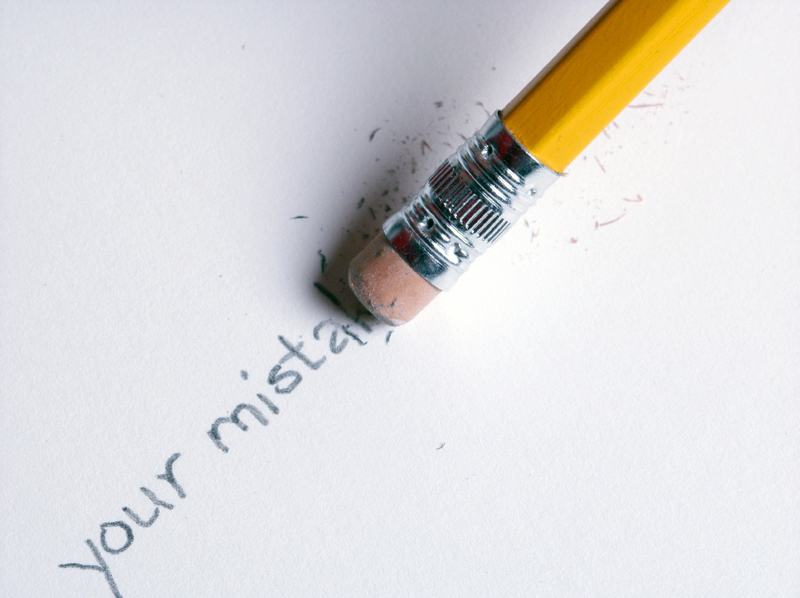 Learning and growing from mistakes is part of the practice of dentistry. I know that patients want us to be perfect. I wish I could be perfect for their sakes–I really do. It’s not possible. We are human beings. I would rather error on being too human for my patients than on being too insensitive, like a mechanical interchangeable part. My errors, thus far, have been minimal. I correct my errors. I reflect on my errors to ensure they do not happen again, and I apologize for making the error. I move on. I avoid big errors by working with talented people, by being prepared for procedures, by holding others accountable, and by working to be perfect, though I know it is not possible. Being perfect is something to ideally strive for, but to hold ourselves accountable to these extreme perfectionist standards causes great pain and suffering. I can forgive myself more easily than someone who only tolerates perfectionism. There is a clear difference between working to be perfect and only tolerating perfectionism. My patients have been gracious and understanding with my practice of dentistry. They know I am not perfect, but they know I will fix my errors and make it right for them. Medicine is a half-science, half-guesswork field. To expect perfection is unrealistic, from our patients’ standpoints, and from our own personal expectations of ourselves. I know my background in communication helps me achieve these types of desired relationships with my patients. When the doctor and patient and team members have a caring collaborative partnership, great outcomes occur–even if things are occasionally less than perfect. For more information about creating caring, communicative relationships in your office, please visit my website at IntentionalDental.com. I would love to come speak to your dental group about communication, oral and systemic health, or the evolution of dentistry. It’s all in our hands!